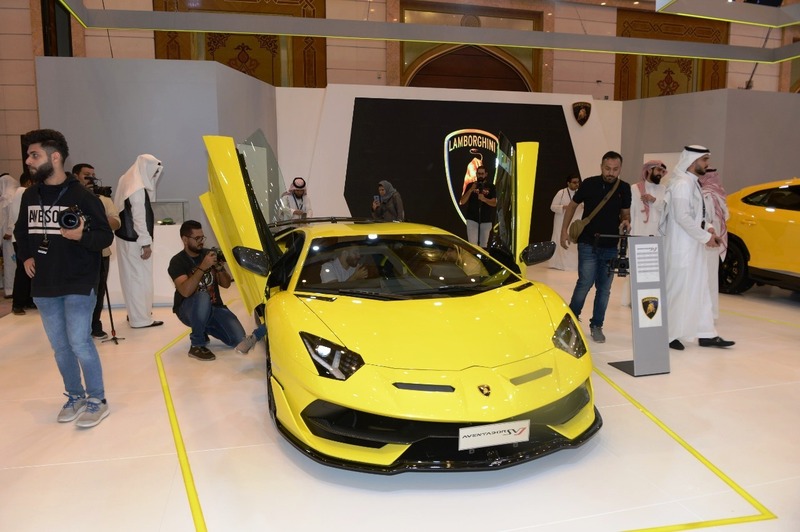 Lamborghini Saudi Arabia showcased brand’s latest super sport cars represented by the URUS SUV and the new Aventador SVJ, at the 12th edition of the International Luxury Motor Show (EXCS). 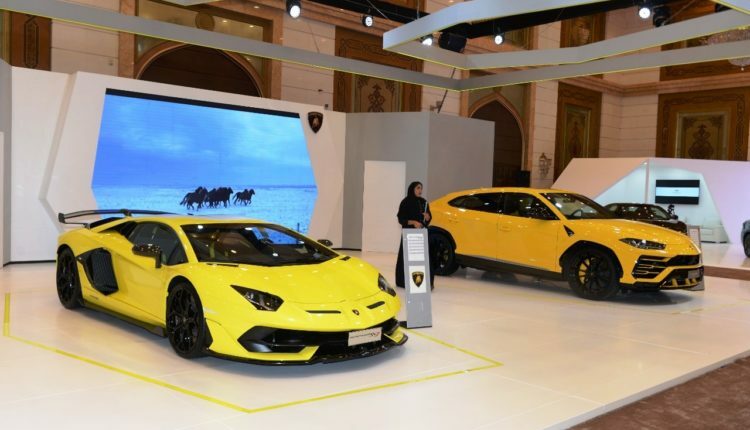 Held earlier this month at the Jeddah Hilton Hotel in Saudi Arabia, the show is a leading regional exhibition dedicated to luxury car brands, making it an ideal platform to present Lamborghini’s exclusive car range of unparalleled performance, extreme design and a touch of provocation aimed at discerning customers. 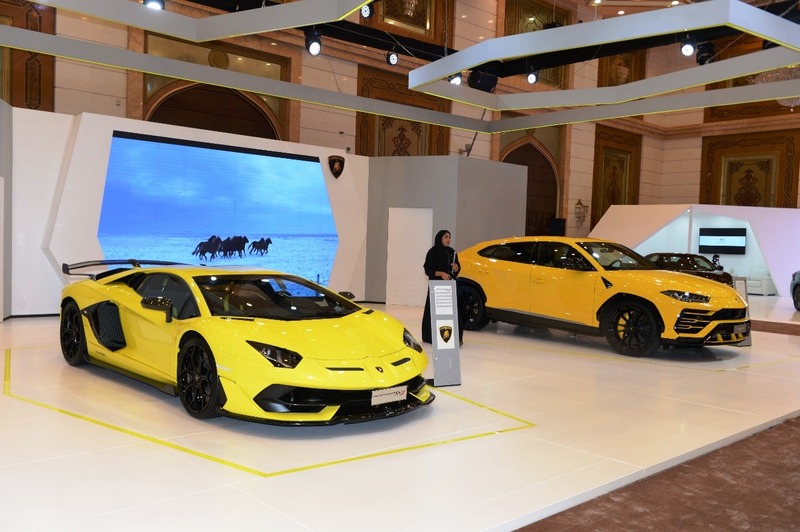 Launched in 2018, the URUS is the world’s first sport SUV – an authentic Lamborghini with its unmistakable DNA. Creating a new niche in the luxury segment with benchmarking power, performance and driving dynamics, unparalleled design, luxury and daily usability, the Urus delivers best-in-class lightweight technologies, with innovation in design and engineering to ensure the best possible driving dynamics as well as overall efficiency. Hp/l the Urus claims one of the highest specific power outputs in its class and the best weight-to-power ratio at 3,38 kg/hp. The Urus accelerates from 0-100 km/h in 3.6 seconds, 0-200 km/h in 12,8 seconds and with a top speed of 305 km/h, it is the fastest SUV available. The pinnacle of Lamborghini V12 super sports car, the Aventador SVJ is the distillation of extraordinary design, groundbreaking technologies and the ultimate in handling, performance and driver enjoyment. Claimed as the Nürburgring-Nordschleife production car record holder, completing the 20.6 km lap in just 6:44.97 minutes, the Aventador SVJ is fitted with a naturally-aspirated V12 engine which produces 770 HP and torque of 720 Mm partied with a 7-speed automatic transmission model ISR. 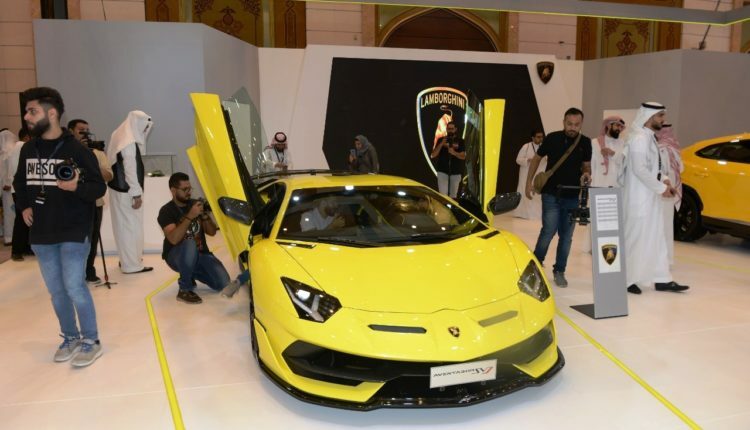 The Aventador SVJ is designed to achieve very high performance and accelerates from 0 to 100 km/hour in 2.8 seconds with a top speed of 350 km/hour. Limited to 900 production units, the Aventador SVJ takes another step into the future, shaping the potential for super sports car development. The 12th edition of (EXCS) amid intense competition in the luxury car sector in the Kingdom, this motor show is considered, as a golden opportunity for luxury car companies and dealers in Saudi Arabia to showcase the latest models that arrived in Saudi Arabia during the year, and reflects their real desire in the possession of the largest share of the sector, which constantly grow and evolve than other areas of the automotive industry, where the luxury cars sector has grown during the year with the increasing demand for this category of vehicles. Lamborghini Car Owners Club organised a visit to a number of the Club members to Lamborghini in the international pavilion at the International Luxury Motor Show (EXCS), where they lectured the visitors about the excellent features of Lamborghini cars that they experienced through their daily use of these cars that reflect the passion for excellence.